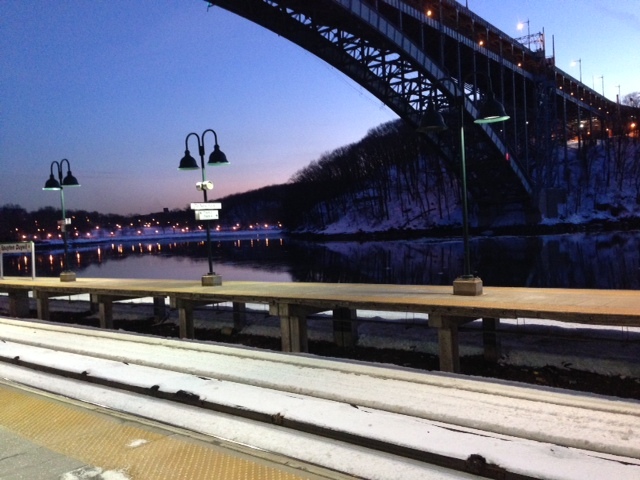 Spuyten Duyvil | The Reverend Dr.
Just recently, the conductor has once more begun calling my train stop by name. Each time I hear it echo, I feel a touch more relieved, a bit closer to home. When I hand him my green Metro-North Railroad ticket stamped SPN DVL, he peers at it closely, then booms “Spites!” as he punches two holes in rapid succession. “Spites” is railroad shorthand for Spuyten Duyvil. For several years, this New York station was known for having a Dutch name almost impossible to pronounce. Now it’s best known for being the worst accident site in regional commuter rail history. The train wreck took place right near the bend in the tracks where the Harlem River meets the Hudson – one year ago, this December.